Almost 10 years ago, I picked up the phone and called The Pub. Except this time I didn’t call the North Main Street establishment in Jamestown because I wanted one of its awesome sandwiches to bring back to the office. I had a different purpose. I wanted to talk to proprietor Jim McCusker about that weekend’s Super Bowl XXXIX, his beloved Philadelphia Eagles against the New England Patriots. Although retired from the NFL since 1964, Jim’s love for the gridiron was apparent everywhere you looked. 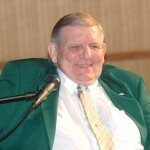 Three of his replica jerseys – one each from high school, college and the NFL – were mounted, framed and hung on The Pub’s walls, as were photographs of the Jamestown native during his seven-year NFL career, which included stints with the Chicago Cardinals, Philadelphia Eagles, Cleveland Browns and New York Jets. I assumed that when Jim used the adjective “great,” he was referring to the journey that he experienced, which took him from the city’s north side growing up all the way to the pinnacle of the football world. But he easily could have been describing himself. A two-time All-Western New York and an all-state selection as a Red Raider, Jim was only getting started. At Pitt, he is still considered one of the Panthers’ greatest linemen, earning Associated Press All-American honors three times and United Press International honors twice. In addition, he played in the East-West Shrine Game, the Senior Bowl and was part of the College All-Star team that defeated the NFL champion Detroit Lions. 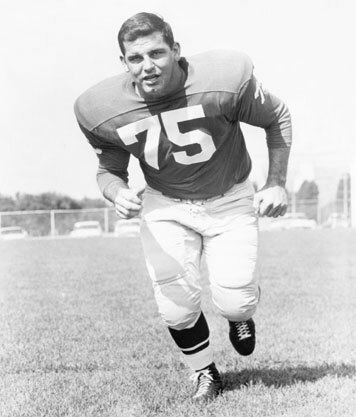 But there was no greater athletic accomplishment for Jim, a former offensive tackle, than what happened Dec. 26, 1960 at Franklin Field in Philadelphia. That was the day that his Eagles defeated the heavily favored Green Bay Packers, 17-13, to win the city’s last NFL championship. That was the day that Jim played a huge role in helping Philadelphia score the game-winning touchdown late in the fourth quarter. The Eagles trailed, 13-10, until Hall-of-Fame quarterback Norm Van Brocklin rallied them in the final period, highlighted by Ted Dean’s 5-yard touchdown run with 5:20 left. 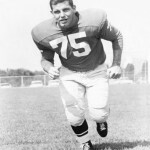 Keep in mind, Nitschke, who was later inducted into the Pro Football Hall of Fame, was a friend of Jim’s, the pair having been roommates when they played in two college all-star games. But all that was forgotten, of course, with the NFL championship on the line. Jim laughed at the memory. On Green Bay’s final drive, quarterback Bart Starr threw a pass over the middle to Jim Taylor, who was wrapped up by middle linebacker Chuck Bednarik, another future Hall of Famer, at the Eagles’ 9-yard line. The championship belonged to the Eagles. 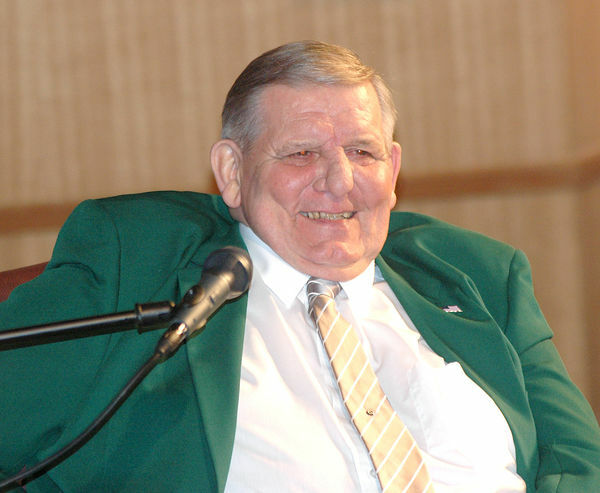 But as Jim’s family and countless friends mourn his passing today – he died Friday at age 78 – the fact that he was a great football player and a charter member of the Chautauqua Sports Hall of Fame are, in my view, a special bonus. His legacy reaches far beyond what he did while wearing a helmet and shoulder pads. Yes, his likeness – wearing his Eagles uniform – appears on a lamp post banner in downtown and rightfully so, but for me he was so much more than an athlete. To me, he’s the guy who decided to return home after his playing days were over and build a personal legacy in the very city in which he grew up. Fifty years later, he and his wife, Mary, their nephew, Sam Lisciandro, and a dedicated staff continue to operate the preferred destination for those who live here and for those who visit. That’s why when a fire early last year damaged The Pub’s interior and forced its closure for six months, longtime patrons, area businesses, city officials and the Jamestown Renaissance Corporation rallied to the McCuskers’ support. The now beautifully restored building continues to be the desired destination for people of all walks of life and, thankfully, the memorabilia (some of which was lost in the fire) has been replaced and hangs on the walls, including Jim’s football jerseys. There’s the No. 84 representing his Red Raiders’ high school career, the No. 43 recalling his days at Pitt and there’s the No. 75 that he made famous with the Eagles. I suggest that there should be one more replica jersey hung on the walls at 209 N. Main St., not only to honor the memory of a great football player, but also to memorialize an even better man. That would be the jersey No. 1.